As part of a project studying atmospheric deposition of nitrogen and its effects on lake diatoms in Grand Teton National Park, researchers are analyzing lake sediment cores and posting taxa to Diatoms of the United States. Taxon pages from a project funded by the National Park Service, Air Resources Division, are in progress. 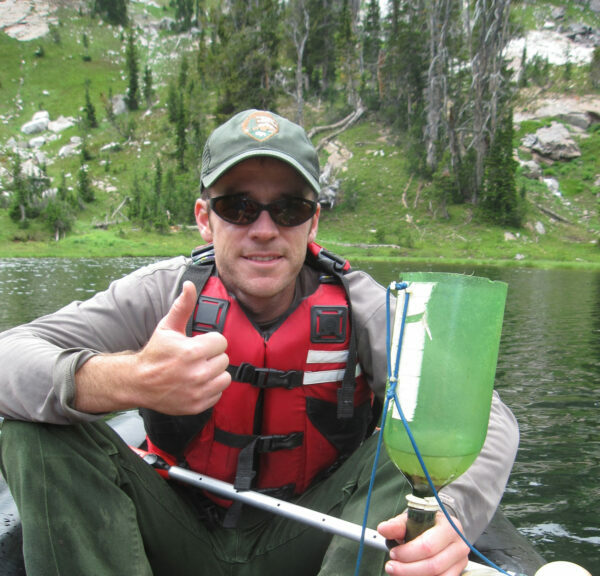 The project, Atmospheric deposition of inorganic nitrogen in Grand Teton National Park: determining biological effects on algal communities in alpine lakes was initiated by co-principal investigators S.A. Spaulding, M. Otu, J. Baron, A.P. Wolfe, S. O'Ney, and T. Blett. In western North America, atmospheric sources of inorganic nitrogen (N) (nitrate and ammonium) deposited with rain, snow, or in dry deposition can result in changes in surface water chemistry and in aquatic biota, including diatoms. Scientists have been concerned with N for its acidification effects as well as for its fertilization effects. In nutrient poor environments, including the Rocky Mountains, algae have been well documented to be limited by N. The primary community level change to either acidification or fertilization in the algae is by a shift in species composition. The eutrophication of lakes by deposition of atmospheric N is of great concern in the west, and there is evidence that many historically unproductive lakes and are experiencing increased biological production due to atmospheric N. Increasingly, diatoms associated with human activities are entering new aquatic systems and resulting in dramatic ecosystem change. 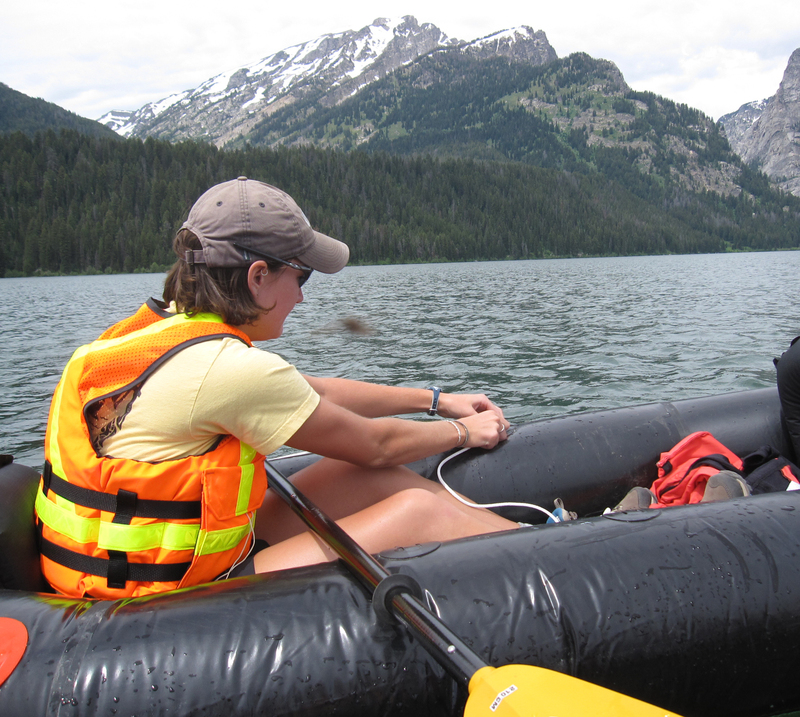 In this project in Grand Teton National Park, we are determining the effects of atmospheric deposition of N on primary producing organisms (diatoms) by reconstructing the paleolimnological history of diatom species composition in sediments of five lakes. In the process of analyzing the lake sediment core, Otu and Spaulding are posting taxon pages for important lake species. Atmospheric deposition of inorganic nitrogen in Grand Teton National Park: determining biological effects on algal communities in alpine lakes - S.A. Spaulding, M. Otu, J. Baron, A.P. Wolfe, S. O'Ney, and T. Blett. Atmospheric deposition of inorganic nitrogen in Grand Teton NP: seasonal and millenial impacts on high elevation lakes - S.A. Spaulding, J. Baron and A.P. Wolfe. 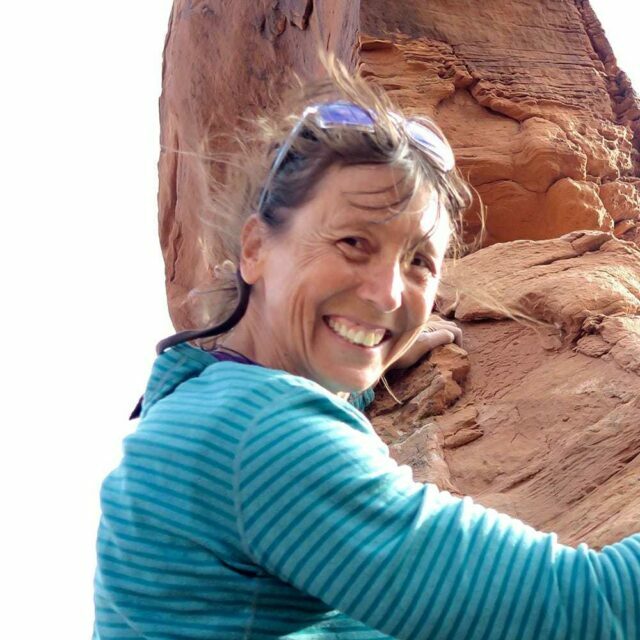 Megan Otu, Postdoctoral Fellow at INSTAAR, University of Colorado directs field work. Alexander P. Wolfe with a beautiful sediment core from Whitebark Moraine Pond. 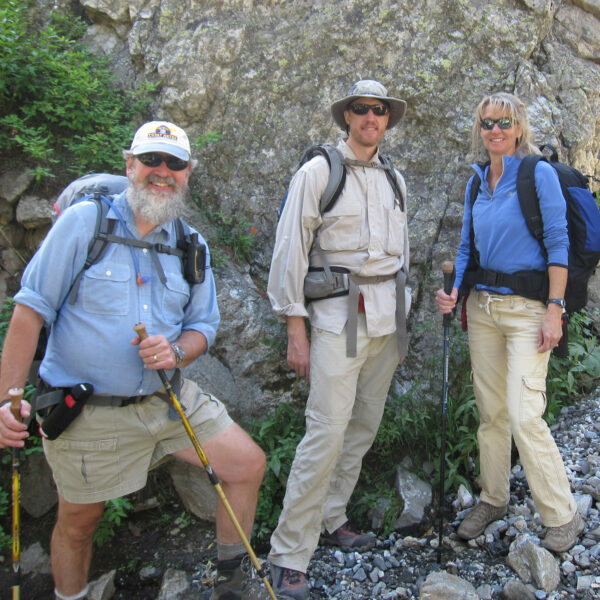 John Vimont, Bret Schichtel and Tamara Blett, National Park Service, Air Resources Division carry equipment to retrieve sediment traps. Chad Whaley, National Park Service, successfully retrieves a sediment trap from Whitebark Moraine Pond. 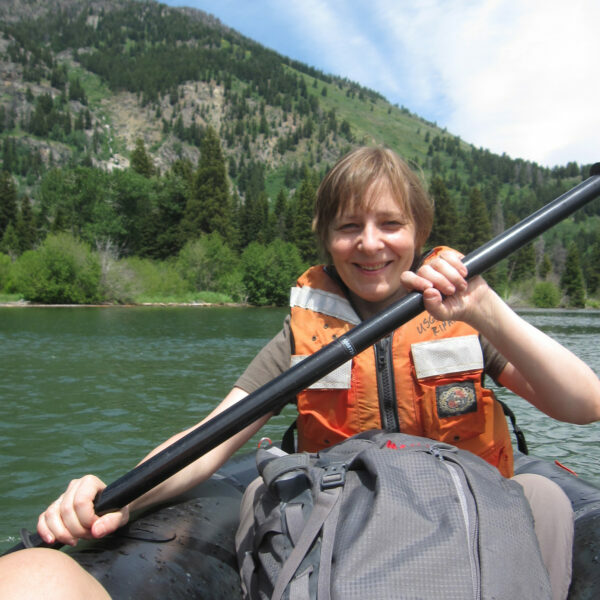 Marina Potapova navigates Phelps Lake to determine a site for obtaining a sediment core. 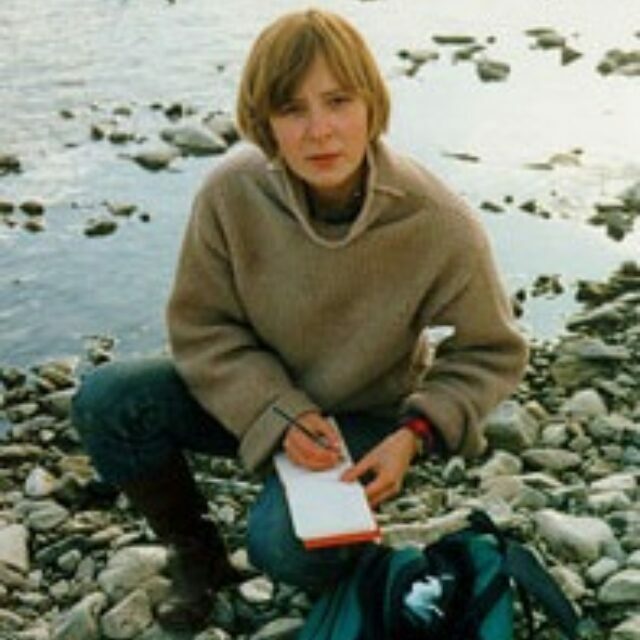 Emma Jones, University of Alberta, obtains samples for water chemistry from Phelps Lake.